The nonprofit Climate Central analyzed 50 years of weather records in 244 towns and cities nationwide. It found that nearly all have seen an overall increase in their coldest yearly temperature since 1970. 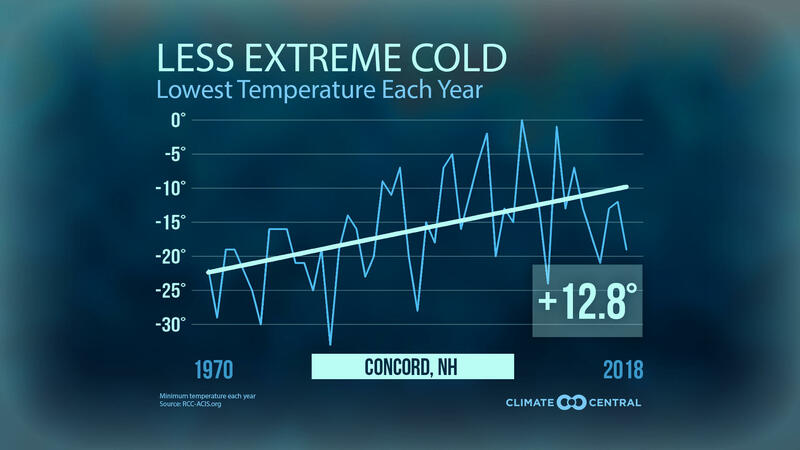 Concord had the biggest increase of any New England city studied - nearly 13 degrees. That’s more than twice the national average of six degrees, which is about how much Manchester’s yearly low temperature has increased. New Hampshire state climatologist Mary Stampone says this region will always have some cold weather – but that’s different from its climate. "Climate is what you expect; weather is what you get,” Stampone says. 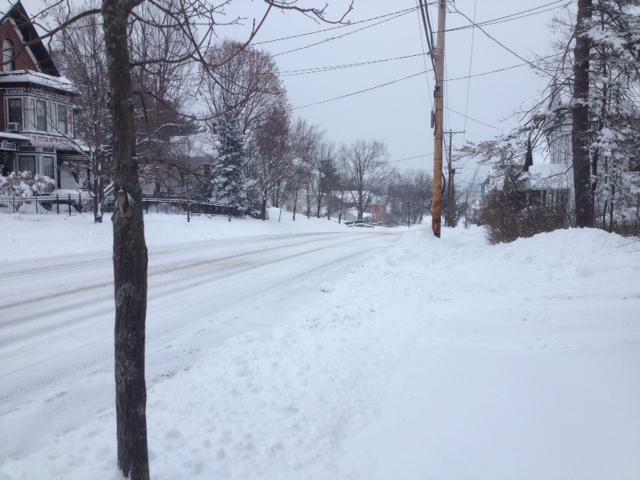 Stampone say scientists’ expectations – that the climate will warm over time due to greenhouse gases trapped in the atmosphere – are playing out faster in New Hampshire winters than in many other states. "We can expect that over time, as winters warm, we're going to have fewer of these cold days,” Stampone says, as well as “a shorter snowfall season – snow is going to melt sooner." She says this will have environmental and economic repercussions – on tourism, animals, transportation and agriculture. Granite Staters are bundling up even more than usual as New Hampshire experiences the bitter cold snap that's hit North America. Strafford County has opened an emergency shelter in Dover at 276 County Farm Road. Rad Nichols is Executive Director of the local public transit service, COAST. He says providing a warm place to sleep was one thing -- it was also important to find a way to get people there, if they couldn't pay for bus service.